This young man has light bronze skin, his short auburn hair is blown back. He has a smug look upon his face, there is a small scar across his jaw. He has a lightly trimmed beard, its parted where the scar is. While being very strong, he has about the same build as an average well fit human. 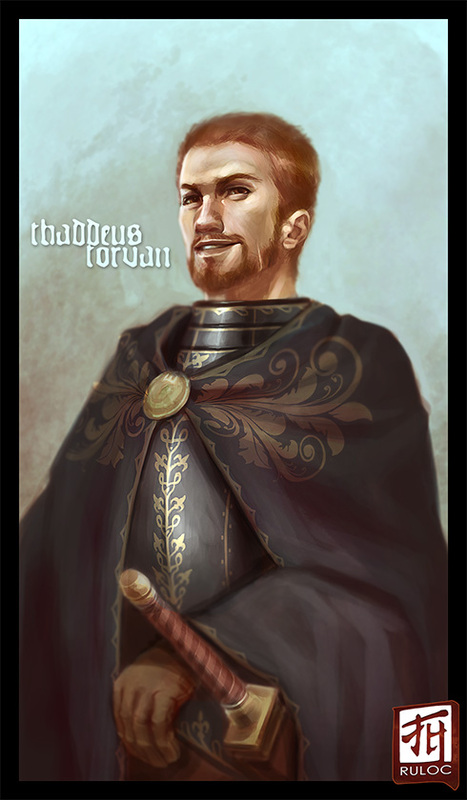 A former Taldan Nobleman, Thaddeus's armor is a smokey grey breast plate with gloden floral design on the edges. He wears a cloak similar to his armor, it is also black and gold.